Amendments to the Master Plan for development of Tsarevo Municipality (on the Black Sea) were approved by the Interdepartmental Commission of the Supreme Environmental Expert Council (SEEC) with the Environment and Waters Ministry (EWM), BTA reports quoting Deputy Minister Chavdar Georgiev, who chairs the Commission. The amendments are to be approved by Environment and Waters Minister Djevdet Chakurov as well. Only the representative of Strandja Mountain Park, Ivan Kambourov, voted against the amendments. The Master Plan provides for the sustainable development of Tsarevo for at least 20 years ahead, Georgiev said. The plan bans the development of a zone of 150 m on river banks (the overall width is 300 m, considering both banks). The construction of the golf course envisaged in the plan must not affect any natural forest habitats. 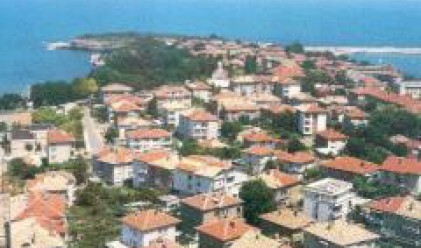 Tsarevo Mayor Petko Arnaoudov expressed satisfaction with the changes in the Master Plan and said some locals, who wanted the whole coastal area to be built up, would now be displeased by the decision of the Commission. The amendments to the Master Plan are in line with the Spatial Development Plan, the Black Sea Coast Act and the Environmental Protection Act, said Kalin Tiholov, architect and head of the team drafting the amendments. Designed for development in the Strandja Mountain Park are about 490 ha but only some 90 ha will be built up, Tiholov said. The local accommodation facilities will provide a total of nearly 59,000 beds. All settlements will have waste water treatment plants, water and sewerage systems and electricity supply. Inland villages with a population of only several dozens will also be covered by the measures. The intensity of new construction is seriously reduced and the new buildings will be 5 - 5.5 m tall (the height allowed by law is 7.5 m), Tiholov said. Georgiev pledged that the implementation of detailed development plans will be monitored strictly. Talking to journalists, Strandja Mountain Park representative Kambourov said he was against the amendments as 970 ha, or 16 per cent, would be taken from the territory of the natural park. In his view, the amendments to the Master Plan for development of Tsarevo Municipality were deficient and drafted in a hurry.